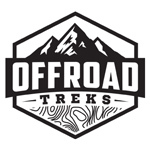 Is anyone going to be at the Off Road Expo this weekend in Pomona, CA? Heading there myself. I would love to meet up with some Power Wagoneers and check out your rigs and talk shop. More people to interact with, and closer to you. I applied for membership to those groups. Thanks for the suggestion. Anyone going to the Expo?